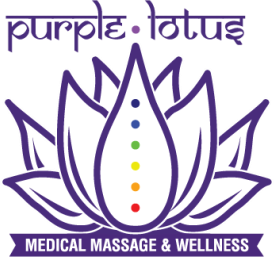 Purple Lotus Massage and Wellness - Get free info on health and wellness, along with some fun stories about our journeys along the way. 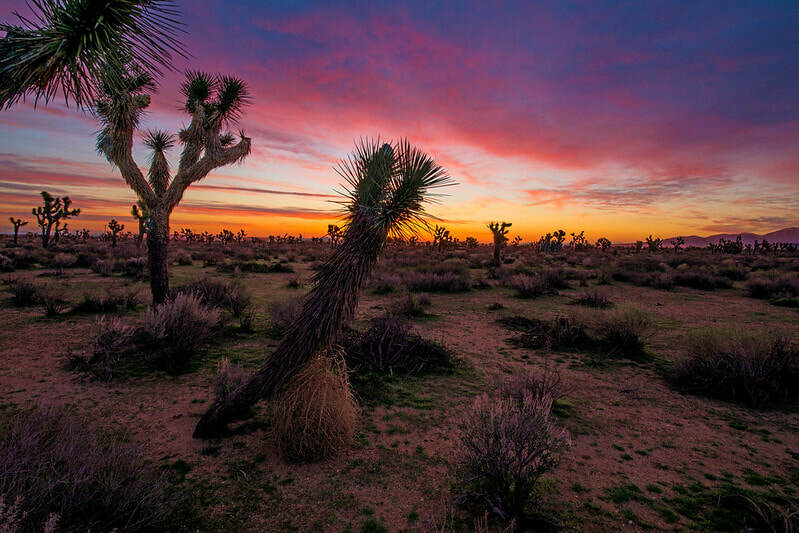 An Embodied Couples Retreat in Joshua Tree...FILMED! If I had to describe this experience in just three words, I would say...serendipitous, alchemical, and divinely empowering...ok, four words. We were invited by Joseph Lemieux, a man on Michael's Men's team, to participate in a semi-private couple's retreat that was going to be filmed for a documentary. We were blown away when we found out he was co-leading with Alexandra Roxo, a beautiful and powerful priestess/goddess/queen who I met just 2 years ago. They had connected us with the producers who shared the intention of the show, which was to create an opportunity for couples to connect. Beloved producer Katie showed up with the camera crew to document our thoughts going into the weekend, as we prepared for our drive. Our thoughts on this? We were looking forward to a weekend getaway and an opportunity to love on our relationship since running business together had posed some challenges. Going into this experience, we share that our intention was to foster a deeper connection but had no idea what that was going to look like. As we arrived to the gorgeous retreat home, we met the other young Australian couple who were quite new to the work. Through connecting exercises, breath work, vocalizing myself through screams, cries, and laughter, reliving how it was when we met and what we love about each other, out relationship received the nurturing we didn't even know was so necessary. To sum up what I got out of the weekend, I received incredible guidance around being 100% authentic and real with all the suppressed emotions I hadn't even realized I was hiding. 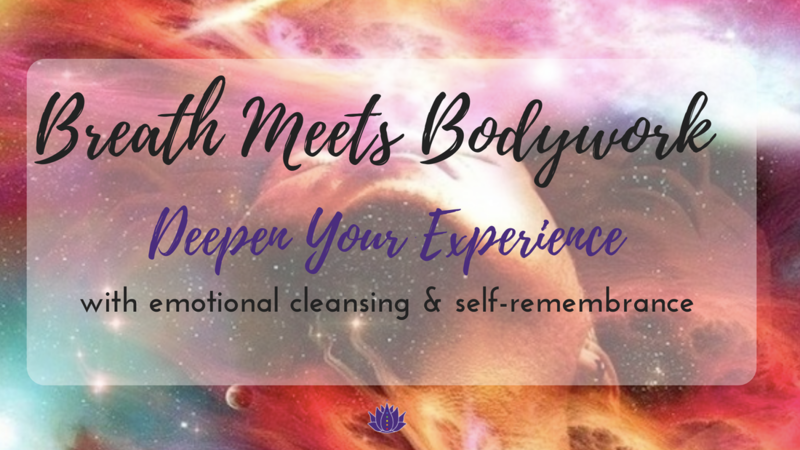 The experience was an awakening to the understanding of how when I dim the fire of anger, frustration, grief, sadness, and discomfort, I am also dimming the fire of my desire, passion, and feminine power. I'll be honest...I'm kinda nervous to see how the production team will capture a 3 day retreat into 1 hour. However, I know that the value I got out of this experience is so worth it. I feel set free, liberated from so many stored emotions. My relationship with Michael feels so golden and I am already witnessing how this work is deepening my connection to my clients and their healing process. To get a taste of Alexandra Roxo's magic, I highly encourage you to try out her masterclass on "How To Embody Your Feminine Fire". I am committing to a 40 day practice. I am barely on day 2 and am feeling exhilarated by the benefits already. Ladies, get your feminine fire on! 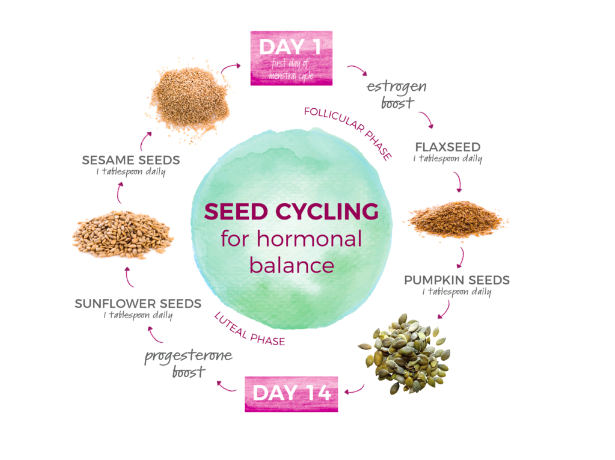 Seed cycling is the easy and simple practice of adding specific organic, raw seeds to your diet to help with hormonal balance and optimize menstrual health. See image below to learn which seeds to use when. If you're interested in learning even more, check out the YouTube video below. ​You can add the seeds to smoothies, breakfast bowls, salads, soups, and my favorite is on top of an avocado. ​Stay consistent and let us know if you notice any difference. 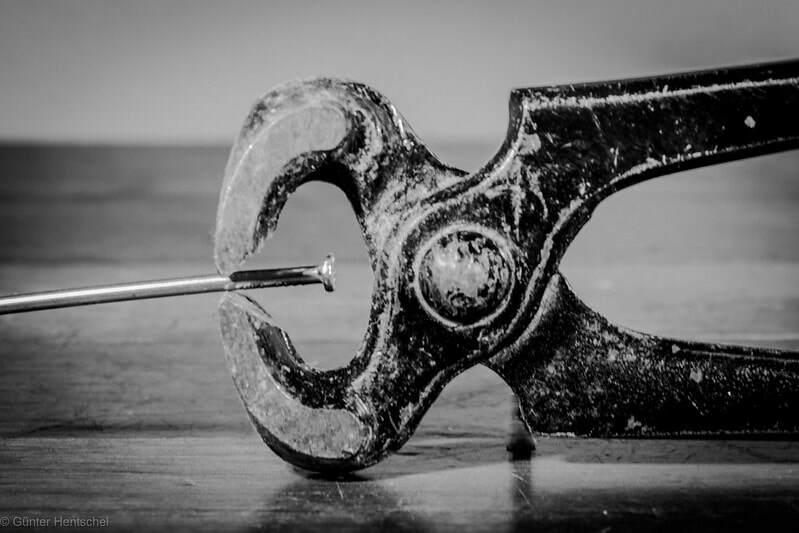 I was first introduced to this helpful life tool through Michael and his work with the men's team, then later from holding a leadership in my women's class. We have both found it super helpful in just about everything we do, whether it is a work project, difficult conversation, a trip, or an experience. This is a tool that has helped us maintain our vision and hold our context. 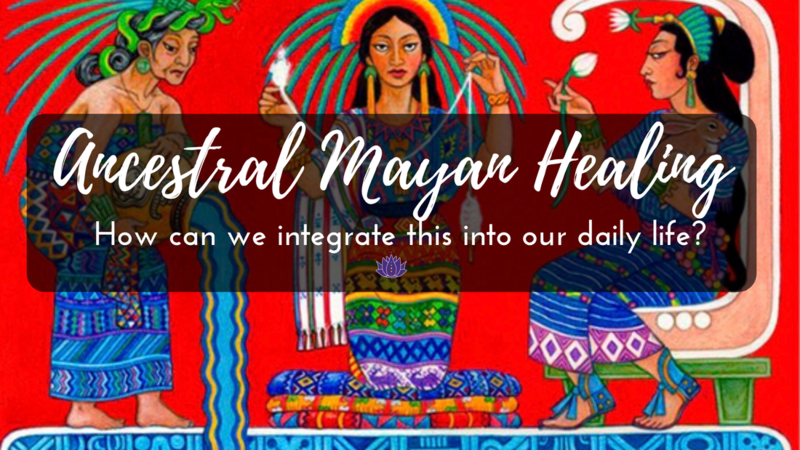 We love recommending this to anyone who is looking for support around staying focused and wanting to create magic in their lives. Begin with the results, then the purpose, and finish with the context. This tool is pretty magical...you can write it on a piece of paper or create one in your mind. If on paper, you can go back and review it to help keep your intention strong. You can write a personal CPR or write one with a team for a shared vision. What is it that you would like to see as a result of the project, conversation, or experience? List what it is that you would like to manifest. If you choose, you can apply the SMART goals (but not required). 1. We created 10 modules for a high quality online course. 2. We completed our project by May 24, 2019. 3. We all communicated clearly and kindly by listening to each other and responding to emails and messages within 24 hours. 4. We created an online course that was super informative and helped thousands of people get healthy. 5. We were clear and confident in our offerings. It is recommended to write at least 10 results so that you get a greater idea of what you want to get out of the experience. So when you look back, the feeling of achievement is higher. What is the reason why you are creating the project or having the experience? This is an opportunity to get very clear with your why. Make sure to include your "so that" to state the purpose and the "with that" to include a higher and larger purpose. An example for a CPR we once wrote for our business. 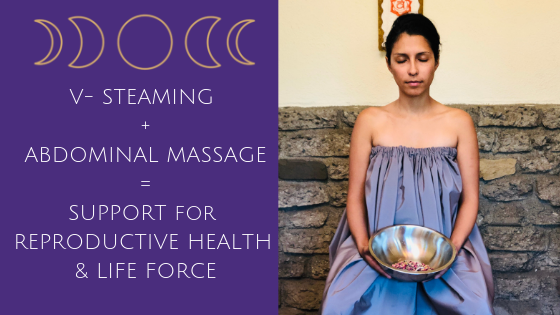 To create a safe and loving environment for people to relax, connect, and heal the physical, emotional, mental, and spiritual bodies so that they can feel empowered to show up fully in their lives, and with that they have healthy relationships with themselves and everyone else in their life. How do you need to be in order to receive your results and purpose? What do you need to embody and feel deep down in your gut and core that you can access at anytime even if you forgot your CPR and everything goes sideways during the event, conversation, or experience? This is the most important part to hold. In 1-3 words or a short phrase, what is something that you will remember that will act as your anchor to taking you back to how you can be in manifestation mode. Choose words that resonate for you and accesses your core. For my relationship: "As my traveling self"
As a healer: "Clear, receptive channel"
As a woman: "Compassionate, loving, and vulnerable"
As a speaker: "Grounded, authentic, and magnetic"
If you'd like support in creating a CPR, we can incorporate this into a health coaching session and create one around your health and wellness. I have been guilty of not drinking water as a child and even up to my early 30's because I just never felt thirsty or would drink sodas or juices. Once I understood the importance and benefits of drinking water, it connected the dots to many of the respiratory issues I was having. Becoming aware of this has made a huge impact on my health and am now feel so encouraged to remind others to stay hydrated. According to doctors, 75% of Americans are chronically dehydrated. Dehydration has truly become an epidemic. “60 percent of our bodies is composed of water, 75 percent in our muscles, 85 percent in our brains, it’s like oil to a machine,” explained Dr. Roberta Lee. It's no wonder so many people are suffering from health issues. So What Are The Benefits of Drinking Water? Even though the general suggestion is 8 cups a day, we all have such different body types and lifestyles. The equation that has resonated the most with me is: HALF YOUR WEIGHT IN OUNCES (minimum). Athletes or people who are more physically active will likely need to drink more. It is so common to go to a restaurant and receive a glass of water with a meal. However, we recommend to not drink a full glass of water with your food, otherwise, the digestive juices are diluted and it can interfere with the digestion. A sip here and there is fine, but drinking water about an hour before or after food is ideal, especially first thing in the morning. If you want to supercharge your water, you can add trace minerals. Have a special glass or stainless steel water bottle that you love and take along with you. Avoid drinking out of plastic bottles so that you aren't getting any extra BPA in your system, plus it's better for the environment to have a refillable bottle. Drink either room temperature or warm water so that your body can absorb it more quickly and aid in digestion. How is this related to massage? After every massage, the first thing we do is offer a glass of room temperature water to our client to support the cleansing process of activating the blood circulation. 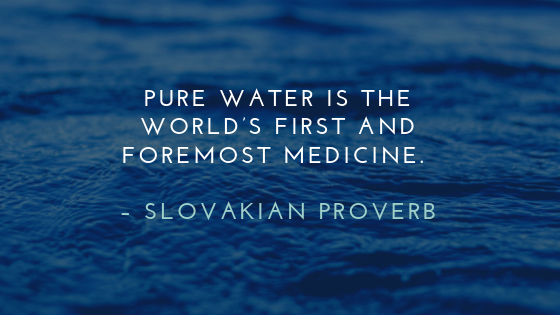 One of the questions on our massage intake is, how many ounces of water are you drinking per day? That way, we can check in and make sure you are getting enough water in your system. Found this info helpful and want more?! Michael and I are excited to share that we have officially been certified to offer AromaTouch Technique! Even though this is not a massage, it's a perfect add-on to a massage or a stand alone. 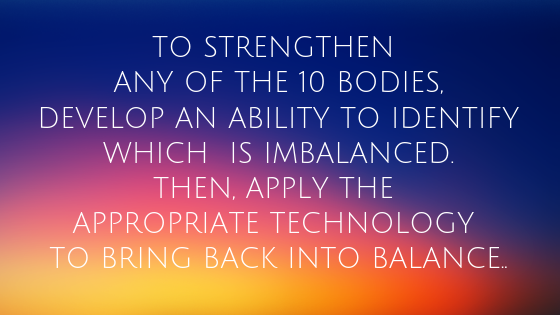 In our experience of receiving this special technique, we have entered that deep state of relaxation, coming out completely in bliss. "Whether it is a hand shake or a hug, all physical touch holds different meanings. Even when sharing essential oils, there is a difference between rubbing the oils on someone’s forearm and taking the time to really affect their overall well-being through the AromaTouch Technique. 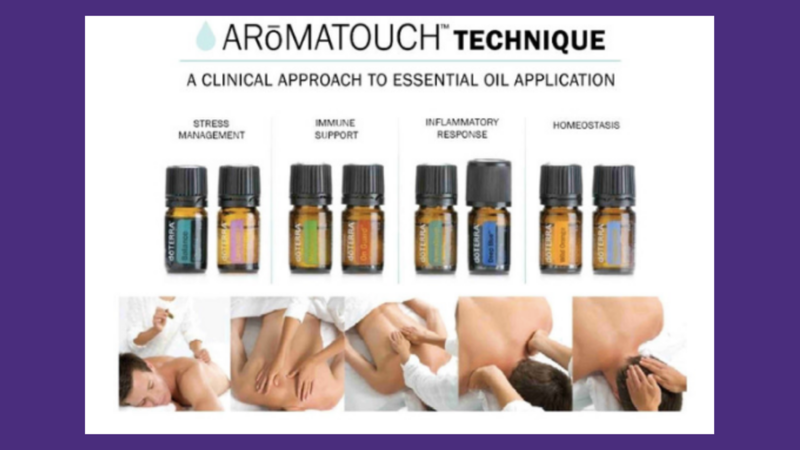 While the main purpose of the technique is to apply the oils and provide the recipient with an essential oil experience, the AromaTouch Technique is also about connecting with another person on an emotional level. The connections developed through this technique form feelings of trust and help the recipient relax." that will ignite your senses? Why CBD and How Can I Get It? It just so happens to be that todays average person is dangerously deficient in these vital nutrients today which play a HUGE role in the most important things we desire: HORMONES, ENERGY, CLEANSING. So many of us are deficient in Magnesium and Vitamin B which are both SUPER important to make hormones and support stress levels. C​​BD, or cannabidiol, is a medicinal cannabinoid that is derived from the hemp plant. 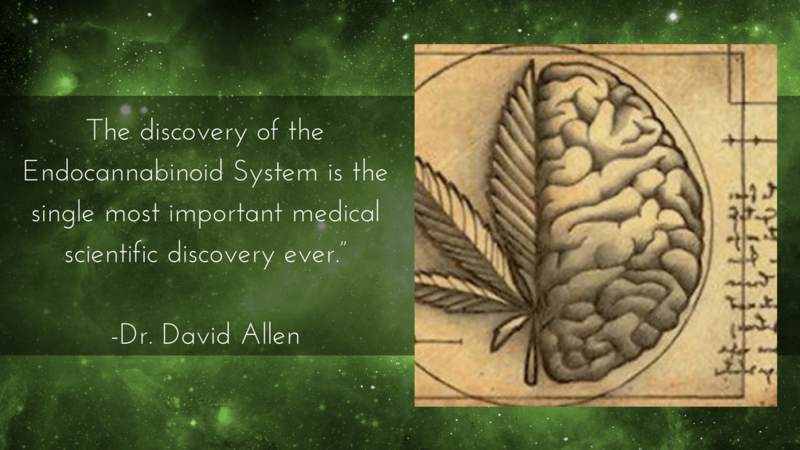 Cannabidiol can be medicine for nearly anyone. One key reason is that many of the problems our population faces is caused by inflammation, and CBD has been proven to target and treat inflammation. Historically, researchers have failed to thoroughly investigate the potential of CBD to help treat these disorders, as the study of cannabis-based therapies was neglected. Now, thanks to recent research on the effects of cannabidiol, we know just how powerful CBD can be. Up until the late 1930’s cannabis based medications: oils, tinctures and preparations were routinely used by American doctors and physicians worldwide. And then, of course…this dude named Rockefeller decided that putting petroleum oil in our drugs would be better. Now that people are waking up to the fact that this approach is NOT working, they're looking to replace their prescription drugs that only work for a few months, then are replaced quickly with NEW side effects. Thankfully there's something now that can help us with ALL of these issues without side effects and is now legal and easily accessible. It's also WAY more affordable than toxic medications as well as impending needs to supplement with more vitamin and nutrient deficiencies. Autoimmune disorders are a large group of ailments all caused by an abnormal immune response to one’s own body, leading to inflammation. There are over 80 distinct autoimmune disorders, including rheumatoid arthritis, Type 1 diabetes, Celiac disease, multiple sclerosis, IBS, and lupus. In fact, 75% of patients diagnosed with an autoimmune disorder are women. Fortunately, new research suggests that CBD may be an effective treatment for the symptoms of autoimmune disorders, thanks to its incredible anti-inflammatory powers. The cannabinoids found in CBD can also help to suppress an out-of-control immune system, possibly by limiting the production of cytokines in the body. Researchers are continuing to develop treatments that harness the powers of these cannabinoids, but in the meantime, women are treating their own autoimmune disorder symptoms with CBD. Unlike other common treatments for autoimmune disorders, CBD has few side effects. For example, treating everyday pain with NSAIDs, acetaminophen, or opiates can lead to liver damage, stroke, or even death, while CBD carries no such risks. CBD has shown antidepressant effects in animal studies. While research with humans is still in the early stages, it seems possible that CBD could help to ease depression. Less Seizures Research has shown that CBD is a promising treatment for epilepsy even in patients who have not responded well to other treatments. Children and adults show reduced seizures in response to CBD treatments, so CBD could be useful for long-term epilepsy sufferers. 2. Select your shipping country and state. 4. As soon as you receive it, give us a call and we can talk about when and how to take it. ***To experience the full benefits, it is recommended to commit to at least 90 days of taking the CBD regularly.